RETON, Czech - Industry LCD monitors and tubes, Walker´s Western shop, hand blowed glass ware, plywood for packaging. 756 61 Roznov p. Rad. Handblowing and sale of glassware - promotional, utilitarian, gift, decorative. Sandblasting of promotional motives and logotypes. Production of glass pipes for solar panels. Exclusive dealer for Czechia and Slovakia region. We are representative of Spain producer of standard plastic caps and plugs for the products protection during Transport and Storage or during coating processes – dust, liquid, chrome painting, etc. -, materials such as PVC, EPDM, Silicone. 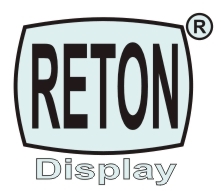 Display tubes and industrial TFT-LCD monitors for ATM, industry aplications, special machines, engine plants, etc. Import from USA, Europe and Asie. Clearance sale of colour and monochorme tube for TV Sets. Salling of vacuum valves for musical equipments.